We had a fab day out in the woods at Slindon on Saturday. The weather was ok up until about lunchtime when it absolutely poured with rain! We still managed to find 4 caches though so went home happy...soggy, but happy! I took a few photos and put this page together to sum up why we bother to leave the sofa and head out into the countryside. i.e. the beautiful scenery, good company, exercise, laughs and a real connection with nature. Sometimes it's hard to leave the house when it's cold and blustery out. But once we are actually out there, it's great! 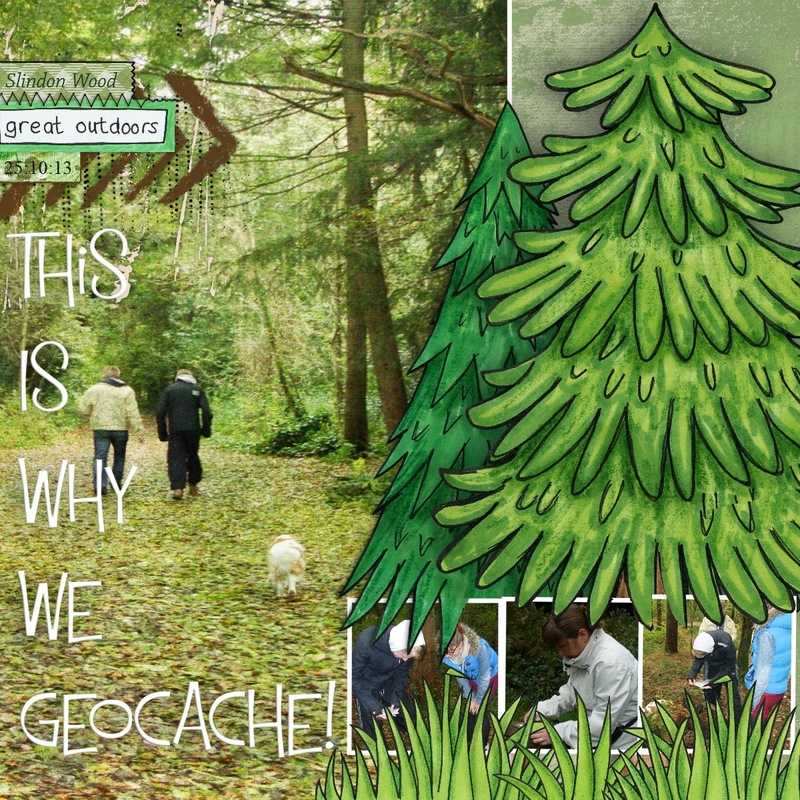 Geocaching has added another dimension to our countryside walks. We now visit mostly new places so never get bored. And the gorgeous Poppy dog loves every minute! I used 'Summer Camp' by Kate Hadfield and Sahlin Studio and some elements by Amy Wolff.